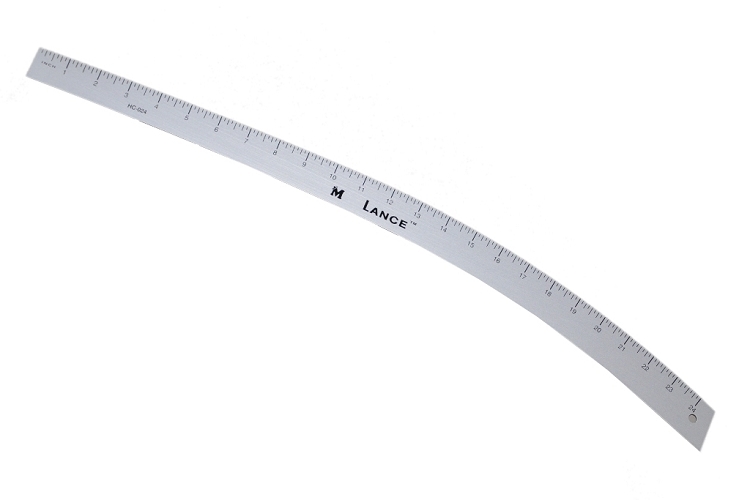 Lance HC-024 Hip Curve 24"
Calibrations are on one edge, on two sides. Patternmakers, designers, tailors – everyone involved in creating garments reaches for this tool to draw the numerous contours of the human form. The hipline, surely, but also the trouser inseam, the lapel, the sleeve, skirt seams, and on and on.